Japanese udon noodles were already widely known throughout Asia. Recently, however, these noodles have been gaining fans throughout the world. With branches in fourteen regions, udon purveyor Marugame Seimen reveals their globalization tactics and localized menus, as well as the reasons for the popularity of these noodles outside of Japan. 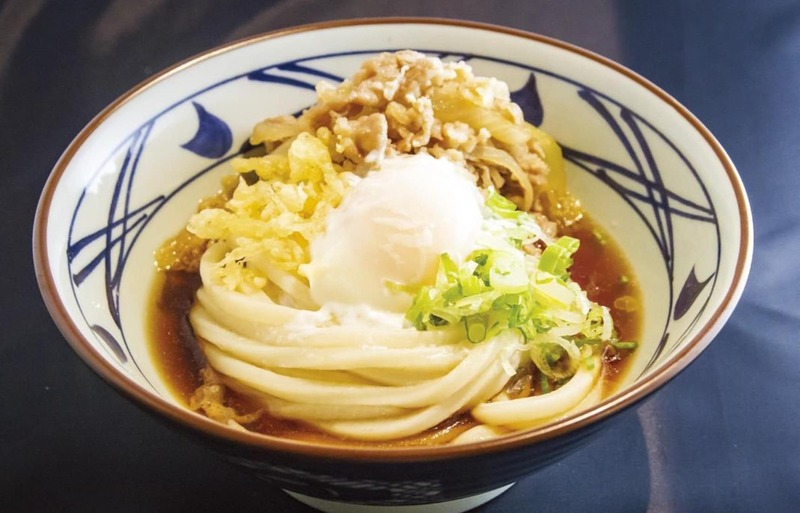 Satoshi Suga, general manager of the International Business Planning Department at TORIDOLL Holdings Corporation, says that the overseas expansion of their sanuki udon restaurant chain Marugame Seimen began with a hunch on the part of CEO Takaya Awata. The company already had overseas expansion plans when in 2011 they came across an empty shop on a popular street in Hawaii. They grabbed the spot and were blown away by the positive reception. That Hawaii branch continues to grow—with lines of patrons waiting to sample the firm’s popular udon—and remains the top earner of all their overseas branches. Deciding to jump in quickly instead of spending money on marketing research, the company opened test shops in various countries and regions. From 2012, they swiftly expanded into Thailand, China, Korea, Indonesia, Oceania, Russia and the United States, and currently have shops in fourteen regions. “While the ramen craze was in full swing, it seems many people were seeking something less oily and with a healthier image,” Suga says about udon’s popularity overseas. Compared to ramen, udon is also less expensive—another reason for its popularity. While long tables bearing toppings to customize your udon are quite common in Japan, Suga notes that before opening shops in many countries they received feedback that this layout looked too much like a cafeteria. They decided to stick with the self-serve system, however, which ultimately captured the interest of customers and boosted popularity. 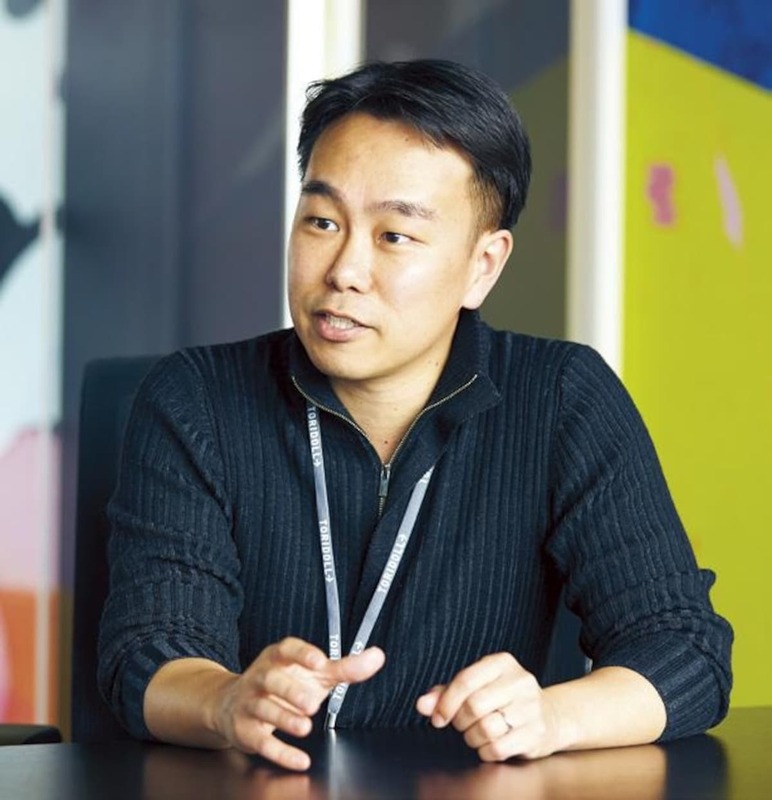 According to Awata, the key to expanding overseas is flexible product creation. He mentions that while half of their overseas menus feature classic dishes, the other half is adapted to suit local tastes. He finds it interesting to see what new combinations this flexible approach creates. Of course, concocting new products is not an easy task. For instance, the strength and taste of the dashi broth had to be adjusted to match local food culture and preferences. The Chinese branches have a tomato-based soup, for example, while in Indonesia they offer chicken broth; in Thailand, customers can enjoy udon in a sour-spicy tom yum-based soup. In the Philippines, the savory and sweet Sukiyaki Ninja udon with beef and egg was an unexpected hit. The free toppings are also tailored to each country. For example, in Vietnam they offer cilantro, and chopped chili peppers at their Indonesian branch. While there are limits to shop sizes and food handling regulations, regardless of where the shop is located, the chain sticks to their policy of making noodles from scratch in-house. Each country’s udon comes out differently depending on the water and the type of flour used. Every time the company opens a shop in a new country, they experiment repeatedly to find the perfect consistency for the noodles, making product creation the most crucial step. Whatever other ingredients accompany these noodles, customers overseas clearly welcome the firmness and flexibility that Japanese udon offers. 5 Hot Sake for Winter! Highlighting Japan is an online magazine published once a month by the Cabinet Office of the Government of Japan, aiming to help readers better understand Japan today.